Mophie recently released a new protective case for the new iPad. If you like this kind of folio design, let’s go on checking mophie workbook iPad 3 case. 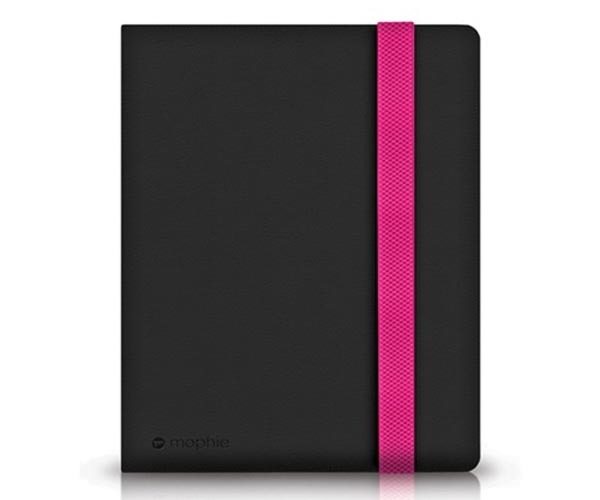 Mophie’s workbook is an elegant, folio-style protective case that measures 7.63 x 9.84 x 0.92 inches, and designed for iPad 3, and compatible iPad 2. The new iPad case features a faux leather exterior and a plush lining in order to protect the iPad 3 from bumps and scratches, and the 4 interchangeable straps securely keep your new iPad in place when you’re on the go, moreover, the integrated magnets automatically wakes your iPad up when the cover is opened, and puts it to sleep when closed. 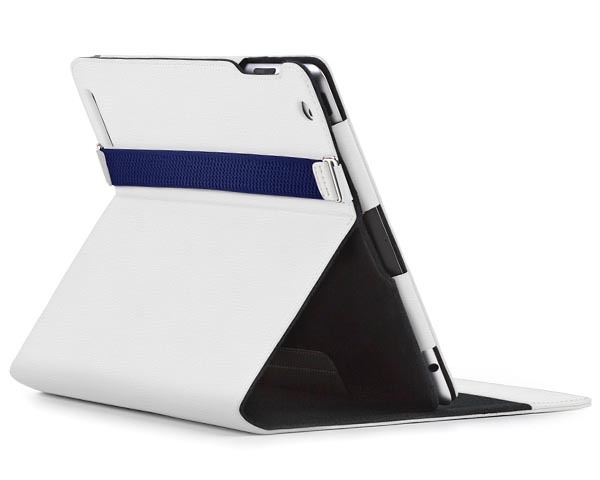 Apart from that, the pass-through design allows you access to all the functions and buttons of your iPad 3, and the iPad stand function supports landscape viewing mode and multiple viewing angles. Mophie Workbook iPad 3 case is available in 5 colors including black, white, gray, brown and purple, each one is priced at $49.95 USD. If you’re interested, jump to mophie official site for more details. 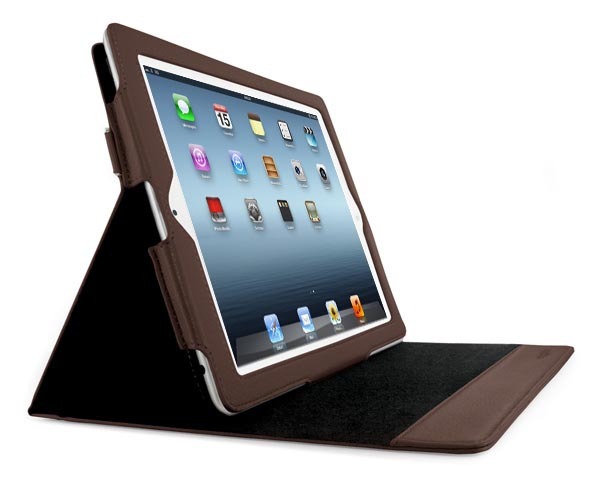 Additionally, if you need other options, you might like to check Folio360 III iPad 3 case, BookBook new iPad case and more via “iPad 3 case” tag.